The show begins backstage as we're welcomed to the Thanksgiving episode of Impact Wrestling. Fallah Bahh and Eli Drake are introduced as the opposing team captains for the Gravy Train Turkey Trot match. Eli Drake rambles on about his greatness and about how he was the innovator of the GTTT match. A video package is shown highlighting the Gravy Train Turkey Trot match from the previous year, where Christopher Adonis was forced to wear the turkey suit. Returning backstage, Fallah Bahh chooses the first member of his team: Ironically, it's KM. They exchange some words about the food they're excited about eating for dinner. KM re-focuses Bahh and tells him that tonight is all about teamwork. Back from commercial, we watch as Eli Drake chooses his first teammate. He's chosen Katarina! She greets Eli and assures him that she'll be taking care of business in the GTTT match later on. They show another Impact flashback, this time it's the triple threat match between Chris Sabin, AJ Styles, and Samoa Joe from the first-ever Turkey Bowl. Samoa Joe reigns victorious at the conclusion of the match and AJ Styles is forced to wear the turkey suit. Once again backstage, Fallah Bahh and KM choose their 2nd teammate. It's Kikutaro sporting his pink mask! Back from commercial, Scarlett Bordeaux has arrived in the Impact Zone with an entourage of 'Sexxy Show' dancers performing for the Vegas audience! In the backstage area, Eli Drake chooses Jake Crist as his 2nd teammate. oVe follows behind Crist and Sami tells him that, if he were to lose the match and wear the turkey suit tonight, he can only have onions at the oVe Thanksgiving dinner. They're gonna eat EVERYTHING else! A video package is shown of various Impact superstars mentioning what they're thankful for. Fallah Bahh and KM are backstage choosing their next member - it's Dezmond Xavier. There's some confusion at first about what team Dezmond is fighting, but he ends up on the same page as KM and Bahh. We're back from commercial and Eli Drake is ready to choose his 3rd teammate. It's Rohit Raju with the Desi Hit Squad following close behind him. Gama Singh and company tell Drake that they're guaranteeing victory. Another video package of Impact Superstars, this time saying what their favorite Thanksgiving memory is. Fallah Bahh and KM choose their 4th and final team member: Alisha Edwards! Bahh and KM ask Alisha if she can handle her own against Katarina, to which she responds, "I'm always ready for a fight!" They try to joke around with her but she's not having any of it. Back from commercial, Eli Drake spins the roulette and chooses his final teammate: Glenn Gilbertti, also known as Disco Inferno. Glenn says that they need to use CGI to defeat Fallah Bahh, that way he can marry Scarlett Bordeaux. Drake doesn't know how to respond and, instead, pours a drink. A video package is shown advertising the return of The Ultimate X Match at Homecoming on January 6th. Glenn Gilbertti goes on a rant about how he was the creator of the Ultimate X Match and not Don Callis. 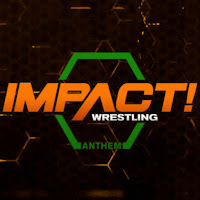 Another video package is shown, this time documenting the history of 'option c' and confirming that Brian Cage and Johnny Impact will go one-on-one for the Impact World Heavyweight Championship at Homecoming. Back from commercial, we see Eli Drake and his teammates getting hyped up for the Gravy Train Turkey Trot match coming up. Each member has an opportunity to promote themselves and encourage a few giggles. Scarlett Bordeaux shows up in a pilgrim costume and says that she'll be scouting for talent tonight. We're now watching as Fallah Bahh's team prepares for the match, with Fallah continuously saying "Bahh" as though it were strategy. KM translates and tells Kikutaro that he needs to stop being Japanese funny man and he needs to fight! KM translates for Dezmond and tells him that they need to fight as a team and win as a team! KM translates for Alisha and simply says, 'Plymouth Rock' - the punchline from the joke he made earlier. Alisha guarantees that Katarina is returning to England in a turkey suit. We return from commercial with each member of the teams making an oath to wear the turkey suit if they were to lose. Katarina and Alisha Edwards begin the match, with Katarina quickly taking Alisha down. Edwards returns with a spinning hurricanrana on Katarina, followed up with a tackle in to the corner turnbuckle. A series of reversals in the opposite corner results in Alisha schoolboying Katarina for a two count. Katarina responds with a samoan drop and a two count of her own. Katarina attempts to deliver a vertical suplex but Alisha reverses and locks in an inside cradle, getting a close 2 count. Alisha hits a series of kicks on Katarina. Katarina falls face first toward the 2nd rope, which allows Alisha to bounce her full body weight off of Katarina. Jake Crist and Kikutaro get tagged in, with Kikutaro using a headlock and bouncing Crist off the ropes, but neither men fall down as they collide. Another series of reversals leads to Kikutaro playfully tapping Crist's head with his shoe. Kikutaro taunts Jake and delivers a deep arm drag. Kikutaro tags in Dez but Jake Crist reverses a wrist lock and tags in Eli Drake. Dez with another deep arm drag and a shoulder hold on Eli Drake. Drake gets back to a standing position and knees Dez right in the abdomen. Dez climbs to the top rope and attempts a standing switch cross body but Eli catches him. Dez uses a sunset flip for a close 2 count on Drake. Drake uses a HUGE press gutbuster move for another close 2 counts. Rohit Raju is tagged in and he keeps Xavier in the corner with multiple strikes. Dez uses his speed to fight his way out of the corner and tag in Fallah Bahh. Bahh hits some abdomen strike on Rohit in his respective corner. Rohit tries to fight back but ends up face first on the mat, with Fallah's big leg drop coming down on him. Rohit is in the corner with Gama Singh but Fallah catches Gama and strangles him, allowing Rohit to dropkick the back of Fallah's knee and gain the advantage. Gilbertti tags in and hits a few strikes on Fallah before tagging in Eli Drake. Drake throws Bahh in to the corner and continues the strikes before he tags Disco Inferno back in. Bahh still reverses both men with big boots and a double cross body attack. Fallah tags in KM and he comes in hot, hitting clotheslines and kicks on everybody in sight. KM throws Rohit from one corner in to the opposite corner of the ring. He connect with a figure-four headlock and it encourages everyone to create a figure-four headlock train. Fallah uses his momentum to turn the train around and does some sort of centipede boston crab. Scarlett Bordeaux apppears on the ramp and does a lap around the ring, causing everyone to get distracted. Back from commercial, Drake is in control of Kikutaro. Kikutaro attempts to regain momentum but gets hit with boots and elbows in his attempts. Drake uses the ref to distract Kikutaro and deliver a huge swinging neckbreaker on Kikutaro. Jake Crist comes in and savagely attacks Kikutaro. He tags Drake back in (who's now wearing Scarlett's bonnet) and Eli continues stomping on a downed Kikutaro. Drake tags in Rohit and he continues the pressure, stomping and striking at the fallen Kikutaro. Kikutaro tries to fight out of Rohit's holds but Rohit keeps the pressure on Kikutaro. As he's holding his extended leg, Kikutaro connects with an enziguri and tags in Dezmond Xavier. Dez rushes in and picks up the pace with various strikes, a headlock takeover, and a dropkick to the back of a sitting Rohit. Crist comes in but Dez gets the best of him and connects with a leg lariat and a X-1-9 in the corner to Dave Crist. Dez doesn't stop there as he takes out the other members of oVe. After taking out the other Singh's, Dez hits a huge corkscrew helio flip to the outside on to multiple people. Fallah Bahh climbs to the top rope and bowls down everyone on the outside! Back inside the ring, Alisha nearly gets the three count on Katarina after a crossbody attack. Alisha with forearms and a spinning lariat. Katarina reverses but is still hit with an S-T-O. Katarina pulls Alisha out of the ring as Disco Inferno and KM continue battling in the ring. With Inferno laid out, Bahh and KM both steam roll over him. Kikutaro, Dezmond Xavier, and Alisha Edwards also roll over Kikutaro! And the ref, too! Drake's team begins to take back control. In the center of the ring, Inferno hits a side russian leg sweep and attempts an elbow drop on Fahh. He misses and receives a corner clothesline for his trouble. Fallah uses his sitting splash for the 1-2-3! Glenn Gilbertti fights it with all his might but Scarlett convinces him to wear the turkey suit.